"Predictions or Prophecies are warnings. Predicting the future is one way of seeing the forthcoming events as a result of the present actions and situation. But we can alter the impending event because we have free will to do it. GOD gave us free will to make things better in our lives or maybe worst based on what we desire." In a lecture given yesterday (Tuesday 9/13/05) the elder Kabbalist Rabbi Yitzchak Kaduri, called on world Jewry to come to Israel because of natural disasters that will take place in the near future. In the announcement Rav Kaduri says: "I hereby find that it is necessary to pass this call to the ears of world Jewry, that they should come to the Land of Israel for the reason of the great dangers awaiting the world from the side of nature. "In the future the Holy One, blessed be He, will bring great disasters in the countries of the world in order to sweeten the judgements of the Land of Israel. Michel de Nostredame was born on December 14th, 1503 in St.-Remy-de-Provence, France; the first son of a large and educated Jewish family. His yearly Almanacs included weather forecasts, planting and social calendars, sprinkled with predictions of political and military events. 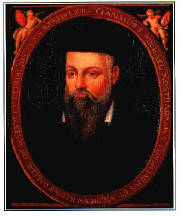 The success of his predictions in these mini-books earned Nostradamus the reputation of being a prophet. They were very popular and brought his family a good deal of wealth and prosperity. RP Earthquake Prediction: Hoax or Real?